Platelet Rich Plasma (PRP) therapy is also widely known as the Vampire or Dracula Facelift. The procedure works on the basis that the body’s own natural healing process may slow down or delay the ageing of the skin. 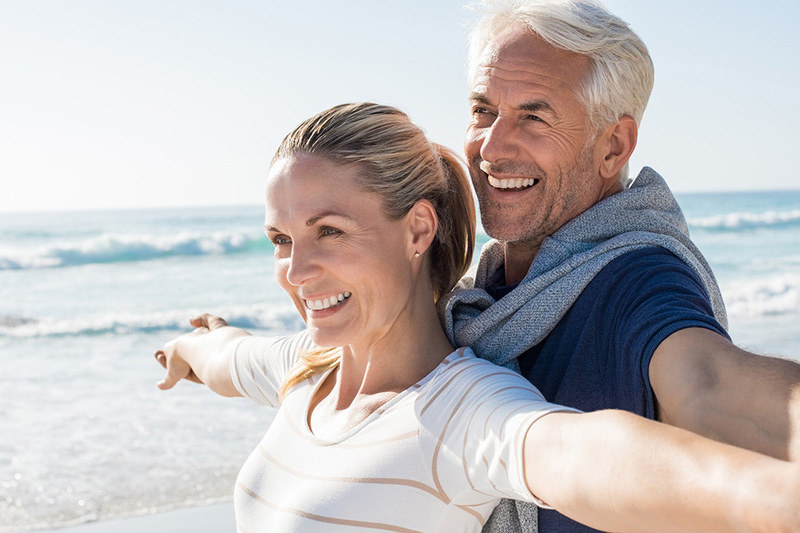 When done properly, PRP creates impressive results both as an isolated procedure or when incorporated into a treatment plan with hyaluronic acid fillers, neuromodulators and PDO threads. The PRP is harvested from your own blood and is collected in exactly the same way that blood is taken for a standard blood test. The blood is spun in a centrifuge, which separates out the cells, serum and platelets. The separated platelets which contain the growth factors for stimulating collagen are then injected into the face or area of the body that requires stimulation and rejuvenation. Where can I have this injected? small lines around the mouth avoiding the risk of duck lips. In fact it can be used anywhere on the face, neck, hands to soften fine lines and wrinkles over time. It s also perfect for the dark circles under the eyes. What Results Can I Expect With PRP Treatment? 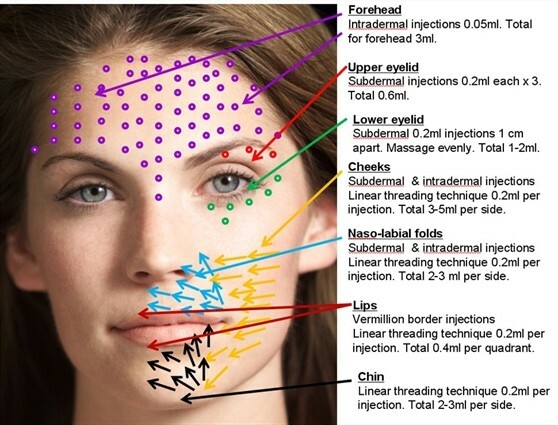 PRP facial treatments are based on your own body’s reaction to stimulation and therefore can produce varying results. 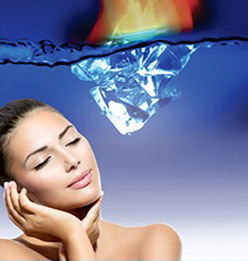 A PRP treatment Is recommended as a course of 3 every 6 weeks. The tissue injected takes time to respond up to 3 months, so results take a little while. The treatment can be combined with dermal fillers in addition, to re-volumise the face whilst improving the skin quality on the surface. This combined treatment has the added advantage of producing some instant changes whilst waiting for a more gradual improvement in skin quality. Results usually become apparent within 15 days of treatment. Additionally and also exciting, it can help to stimulate hair follicles for thinning hair. Injecting PRP involves using a person’s own platelets, therefore they do not usually experience any adverse reactions to the injections. However, it is possible that a person may have irritation, pain, or bleeding related to the injection site. Most people can resume their normal activities almost immediately after having a PRP injection. The average time from blood-drawing to the injection itself is about half-an-hour. Immediately following the procedure, the most commonly reported temporary side effects are redness, swelling, bruising, tenderness, tingling, numbness, lumpiness, and/or a feeling of pressure or fullness at the injection sites and/or in the treated area(s). Cold gel packs/ice may be applied immediately after treatment to reduce swelling. 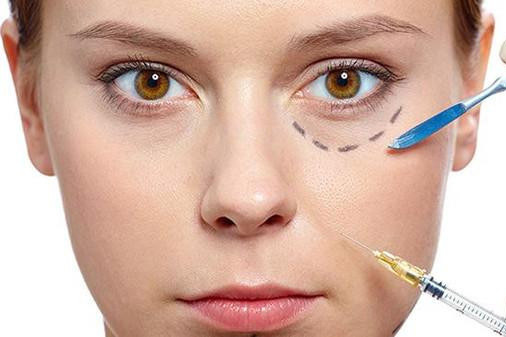 PRP therapy is strictly a voluntary medical aesthetic procedure (i.e. no treatment is necessary or required.) Alternative and / or complementary treatments may include, but are not limited to: anti-aging topical creams, wrinkle reduction injectables, dermal fillers, chemical peels, laser resurfacing and other laser treatments, cosmetic surgery or no treatment. 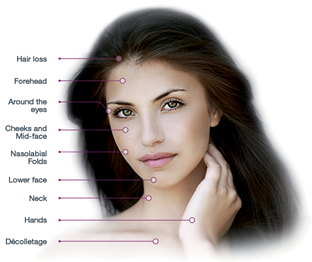 For more information on Platelet Rich Plasma and to book an appointment, please get in touch.